This is Marideth Sisco for These Ozark Hills. First off, I have to say – Wasn’t that a glorious sight this week to see the entire area around Kansas City’s Union Station awash in a sea of Royal Blue. I couldn’t help but notice that at a distance far enough to see the whole crowd, the scene most resembled a giant flower garden. No riot. No car burnings. No violence. just pure joyous celebration – 800,000 hearts strong. And that was just those who lived close enough to attend. That many and more, celebrating from afar. Congratulations, Royals. You certainly lived up to your name. Now in other news. This past week also marks another event – a birth announcement, if you will. But first some words on how that came to be. Once upon a time in a galaxy not so far away I returned to the Ozarks from a life of not so much fame but a reasonable amount of adventure, I finished the schoolwork I’d left hanging for a decade or two, and settled down to a real job, as a newspaper reporter for the West Plains Daily Quill – It’s a regional daily paper with strong roots in the town and in old school journalism. The two guys running the show when I got there, in fact, were the son and grandson of one of the founders of MU’s almost legendary school of journalism – the Martins, Frank Junior and Frank the Third. Junior acquired the little hometown paper in the late 1940s when he returned from a storied career as a war correspondent in Burma. Frank the Third came home in the late 70s-early 80s from a post as city editor at the New Orleans Times-Picayune. That was when Frank Junior fell ill, and Frank the third assumed the editorship. This was no county shopper. They grew the newspaper and shaped it, added the Associated Press wire service, then little green-screen computers, etc. etc. I arrived shortly after the computers and was there to see the last functioning teletype machine in the U.S. unplugged, replaced by a chattering little dot matrix printer but still spitting out national and international news on endless scroll-like reams of printer paper. Just recently, that newspaper sold, the last Frank retired, and the style of the paper became more colorful, more focused on local news, but still managing to retain its substance as real-life, respectable journalism. I served 20 years there, off and on, and in between. As happens in small town papers with a world to cover and only 5 or 6 reporters to cover it, every reporter had more than one beat. Mine was the courts and cops for a while, then the environment, then investigative assignments, news analysis and some features. In school I had learned more or less how to write. At The Quill, I learned what to write about. Somewhere in there I started a Gardening column. Because I garden, and because they needed something local to go on the farm page. Over the years, those little essays came to be a collection. After my retirement, I stumbled into this little part-time radio gig, where I remain today. And some of the installments in that now six year old audio adventure have inevitably been about gardening. I can’t help it. I garden, and that effort has always been to me as much metaphor as it is sweat labor. But then, just a few months ago I happened upon a CD in my files that contained nearly all those old newspaper pieces, I was inspired by that to attack the local library’s microphishe files and ferret out the rest. One thing, of course, led to another. And so today, with just a little bit of fanfare, I am happy to announce the birth of a published collection of all those ramblings about the living green rooms of our lives. I named it Crosspatch, after my newspaper column in which I was always complaining about something attached to the gardening life. 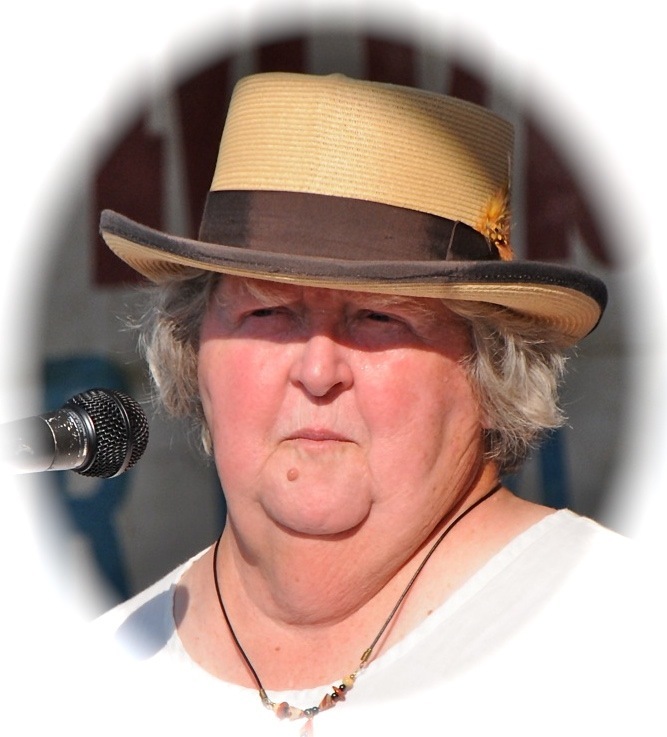 Its middle name is lengthy but descriptive and is Cranky Musings on Gardening in Rocky Ground. Its last Name is, of course, Marideth Sisco. After many long months of gestation, I am happy to announce that the book is done. birthed from my head like Zues’s children and on its frail way into the world. Just in the same week that has seen area gardens including mine, succumb to the first frost. Thanks to Sarah for this photo from her garden – before the freeze of course. Normally I would be writing about that, as in the past, of the metaphors around death and darkness, the return of the cold and the shortness of days. I know. I have the evidence of years of such ramblings, right here in my hand. It’s in the book. But I also must confess a secret. Although the book is done, the garden is not. The garden almost never is. Where the summer garden is blackened by frost, grass filled and in disarray, the winter garden is green and flourishing, awaiting its winter wrap of heavy duty row cover. I actually have one more flat of kale and bok choy sitting in the front seat of my car, rescued from a friend who, unbelievable as it sounds, planted too much. These will be added to the little patch of dirt about 3 by 10 feet that I’ll enclose with a polyester blanket and have greens all winter unless temps go below zero and stay there. If that’s in the forecast I’ll throw some 4 mil plastic over the top. And see, I still can’t stop talking about gardens and gardening. Book or not, I’ll probably be a pest about it all winter. Or at least until the seed catalogs come in. In the meantime, I hope you find time to enjoy these brief and precious days of Indian summer with me. And when the catalogs arrive, I hope you’ll search, as I will do, for something to plant in next year’s garden that will produce blooms in sweet royal blue. This is Marideth Sisco for These Ozark Hills. Thanks for listening. My new book of gardening essays, titled Crosspatch: Cranky Musings on Gardening in Rocky Ground has arrived at the printer, has been accepted, and proof copies will arrive October 15 – just in time for the holidays! It’s 254 pages jam-packed with thoughts, notions, some wee bits of wisdom and loads of odds and ends on gardening as the valuable, healing meditative expression of hands in dirt and head in the clouds – a uniquely human effort that feeds both body and soul. It’s the total gardening me, guaranteed to be out standing in my field. Those of you who followed my years-long gardening column in the West Plains Daily Quill and/or my radio essays “These Ozark Hills” will find some of these pieces familiar. They (no pun intended) cover a lot of ground. I can’t wait for you to see it, read it and let me know what you think! The book will be available at a variety of outlets by Halloween or before. Or you can order an autographed copy from me. 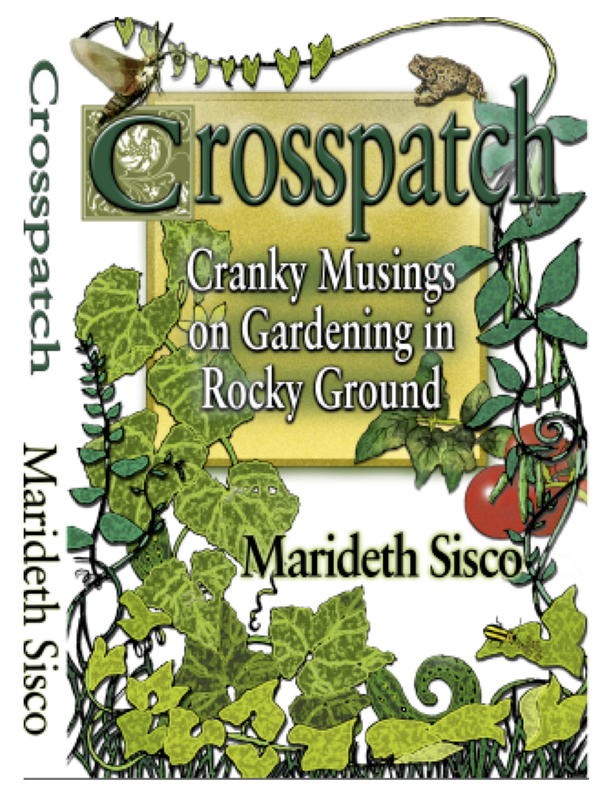 Crosspatch: Cranky Musings on Gardening in Rocky Ground – retail $24.95 plus S/H. More comprehensive info about ordering and shipping soon.